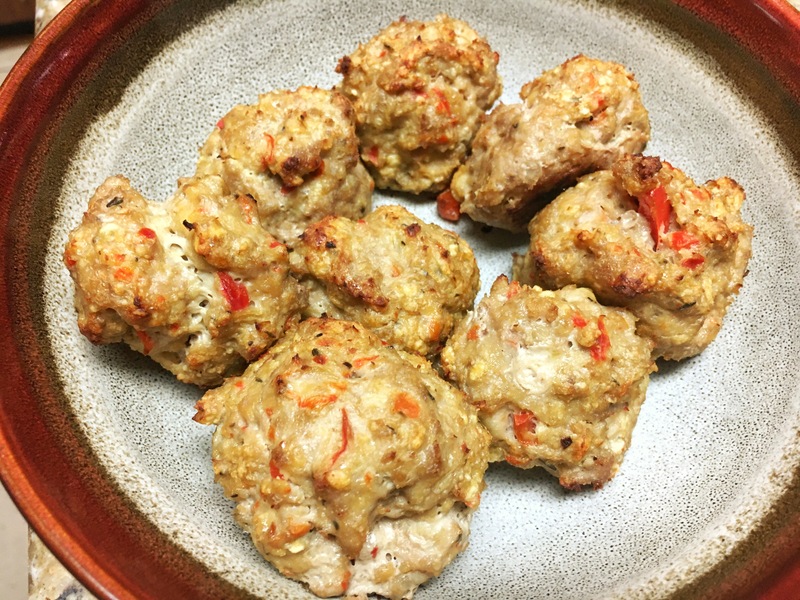 Absolutely amazing baked turkey meatballs! I’ve tried several times to make descent turkey meatballs. And finally I made an amazing batch! 1-Preheat the oven to 400 degrees Fahrenheit. Line 2 large baking sheets with aluminum foil and spray with cooking spray. 2-Place some olive oil in frying pan. Add garlic, onion and red bell pepper and sauté. 3-Add thyme, black pepper, salt, oregano, Worcestershire sauce and chicken broth. Cook until most of the liquid is gone. Cool. 4-Combine turkey, bread crumbs and eggs. Add cooled mix from step #3. Mix well. 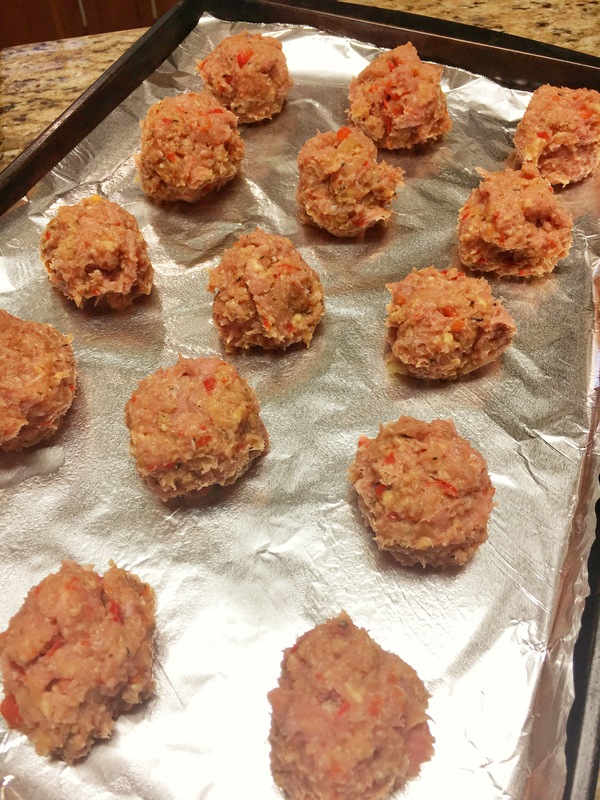 5-Make balls about 1 to 1 1/2 ing in size. Line in baking sheets. Cook for about 20 minutes. This time I had them with bow tie pasta and pink sauce (red and Alfredo sauce combined).